Even though Prince has some half a billion songs of his own, he enjoys a good cover. In fact, many fans would argue he’s just as likely to pop off a classic FM jam on the whim as The Boss or Phish. Here’s some fuel for that reasoning: Recently, the Twin Cities royalty has turned his head to the Pacific Northwest with a silky rendition of Pearl Jam’s classic hit, “Even Flow”. 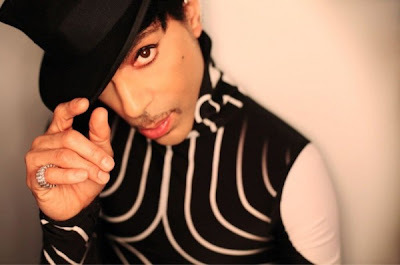 As Dr. Funkenberry.com points out, the eccentric icon has been rehearsing a spin on the song, which “features a guitar duel between Prince and Donna Grantis that morphs into Aretha Franklin’s version of ‘Rock Steady’ before reprising the end vamp of ‘Even Flow’.” He’s currently prepping for tomorrow night’s hometown gig at Minneapolis’ The Myth. Can’t make it? Stream portions of the rehearsal at Dr. Funkenberry, or via the SoundCloud player below. Earlier today, Prince dropped some visuals for his latest single “FIXURLIFEUP” following his jack knife-less performance at Billboard Music Awards. Big stuff ahead for the Purple One.